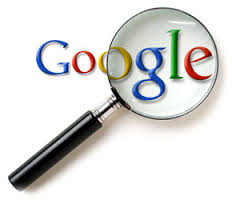 Have you ever wondered what Google Search really knows about you? I came across a terrific article that walks you through viewing and downloading your entire search history. But as I was beginning to follow the bouncing ball to go through that process, I suddenly remembered how long I've been using Google, and how frequently I use Google Search. And I realized I didn't want to spend the rest of the week combing through my history, deleting unimportant links. Frankly, I don't think it's Google's business to keep my history. Sure my history helps Google find what I'm looking for faster and gives me quicker access to pages I've visited before. But it is also tyrannical, and populates my pages with ads and sites it thinks I'm interested in. Well, I want to see what would turn up if Google didn't know me so well. 2. Select Remove Items and choose the beginning of time from the drop-down menu. 3. Click Remove. That’s it. All of your search history will be deleted.